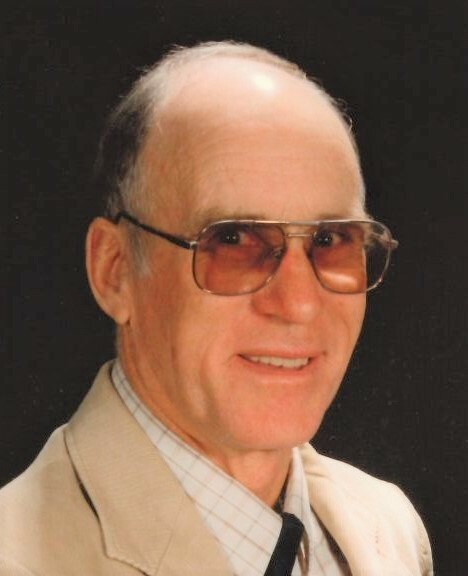 C. LaVar Peterson, of Wendell, left his beloved farm and sugar beet fields on August 15, 2018, to join his wife, Carol V. Peterson, in their heavenly home. LaVar was born at home February 8, 1928, outside of Tremonton, Utah. LaVar spent his childhood discovering Utah with Logan Canyon being one of his favorite places to explore. As a teenager, LaVar came to Jerome, Idaho, with is cousin Danny. It was on this trip that LaVar’s passion for farming began to grow. Eventually, LaVar’s parents, Carl and Ruby; brothers, Leonard (deceased in infancy), Dale, Don and Dean; and sisters, Arlene, Reva, and Louise all moved to Jerome. A small farm was purchased, and the Peterson farm adventure began. On a blind date, LaVar met the love of his life and six month later, on June 14, 1948, Carol Morris became his lovely young bride. Their marriage would be a testimony of family for over 60 years. LaVar and Carol started their own farm on family property, as their family grew so did their farm. LaVar and Carol were blessed with five children, Linda Peterson, Twin Falls, Idaho; Valaune (Bill) Wineland, Green Valley, Arizona; Vickie (Gary) Blaylock, Boise, Idaho; Darlene (Barry) Brackett, Wendell, Idaho; and Curtis (Daunya) Peterson, Wendell, Idaho. It has been said, the only thing better then your own children are your grandchildren. LaVar was never happier than when he could take one of his 10 grandchildren or 11 great grandchildren on a Model-T ride or out to the sugar beet field and show them the game of Hoeing Beets! LaVar loved the farming community of Wendell. He gave back to his community by serving on the Wendell School Board. He never turned down an opportunity to promote agriculture and education. LaVar was happy to see his passion of farming continue when his son, Curtis, chose to carry on the family farm. LaVar’s passion for sugar beets and sweet corn was hard to beat as he won many ribbons at the county fair and many summer time meals consisted of sweet corn and tomatoes. LaVar was a man of many talents. He believed nothing good came form boredom and idle hands. In the winter months, LaVar was passionate about collecting and restoring vintage cars. Model T’s and Model A’s were his favorite. He was active in the Horseless Carriage Club and later the Vintage Car Club of Twin Falls. LaVar was also an accomplished wood worker. He built each of his children a beautiful grandfather clock. The cabinetry in his home showed his love for the art and his family. A viewing will be held from 6:00 pm until 8:00 pm, Monday, August 20, 2018 at Farnsworth Mortuary, 1343 S Lincoln Ave, Jerome. A Celebration of LaVar’s Life will be held at 11:00 am, with a viewing beginning at 10:00 am, Tuesday, August 21, 2018 at the Living Waters Presbyterian Church, 821 E Main Street, Wendell. Graveside service will conclude at the Wendell Cemetery. Memories and condolences may be shared with the family on LaVar’s memorial webpage at www.farnsworthmortuary.com.